Trump-Putin Helsinki Summit. On July 16th President Donald Trump is scheduled to travel to Helsinki, Finland to meet with Russian President Vladimir Putin for a summit. The meeting could not be any more controversial in light of Russia’s interference in the 2016 election, which many think is the reason Donald Trump is president. And certainly fueling the fire is the Mueller probe into whether or not Trump colluded with the Russians to gain power, and then obstructed justice to hide the truth. 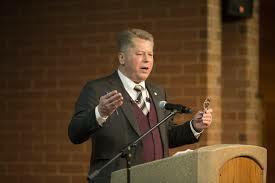 The Halli Casser-Jayne Show welcomes Franz Sedelmayer, a former friend of the Russian President and the only individual to sue and collect money from Vladimir Putin’s Russia. 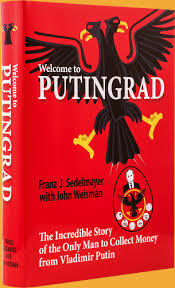 Franz Sedelmayer’s unique story is told in his book WELCOME TO PUTINGRAD, THE INCREDIBLE STORY OF THE ONLY MAN TO COLLECT MONEY FROM VLADIMIR PUTIN. Sedelmeyer’s insight into Putin offers a rare glimpse into the Russian President. At the age of 26, Franz Sedelmayer traveled to St. Petersburg, Russia and in a short period of time built an enormously successful police supply and training company. Who was one of young Sedelmayer’s big supporters? The young deputy mayor of St. Petersburg, a former KGB lieutenant colonel. His name? Vladimir Putin. The two young men formed a bond, and at Putin’s request Sedelmayer created and trained the KGB’s first Western-style SWAT team. Then Sedelmayer’s Russian company was expropriated by President Boris Yeltsin and his ambitious, political, and ruthless onetime friend, Vladimir Putin. Why did Putin sell out his friend? Was Putin paid off? In fact, shortly thereafter Putin landed his first Moscow post. Not to take what happened sitting down, Franz Sedelmayer went into battle to retrieve his assets and won—but Russia refused to pay damages. Undeterred, Sedelmayer persevered, waging a 20-year campaign against the Kremlin and its current president, Vladimir Putin, his former friend. His unique story is told in his book WELCOME TO PUTINGRAD, THE INCREDIBLE STORY OF THE ONLY MAN TO COLLECT MONEY FROM VLADIMIR PUTIN. 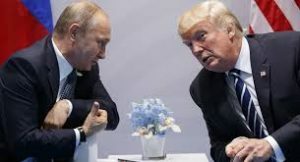 Donald Trump, Vladimir Putin, foreign affairs, politics, Robert Mueller, Helsinki Summit and insight into the two men who will sit for a one on one meeting with author and Putin authority, Franz Sedelmayer on The Halli Casser-Jayne Show at Halli Casser-Jayne dot com.